My family of five has a lot of portable chargers in a wide range of sizes and capacities. But the ones that we use the most are the tiny pocketable ones. They fit in a pants pocket or clutch along with the phone and barely add any weight. While these tiny chargers deliver at best a full phone charge, they're often a better choice than a bigger, higher-capacity charger. Here are my favorite portable chargers, one of which is bound to suit your needs. If you want to always carry a charger for emergency battery top-offs, look no further than the TravelCard. Measuring just 3.6 by 2.4 by 0.2 inches and weighing a mere 1.9 ounces, the TravelCard is built to easily fit in your wallet. The charging cables are built-in. You can choose from a model with a built-in lightning or microUSB connector. The downside is capacity. It doesn't support quick charging and it has a small 1500mAh battery, which means it only delivers half a charge to most smartphones. But it's more than enough to get you through an emergency. 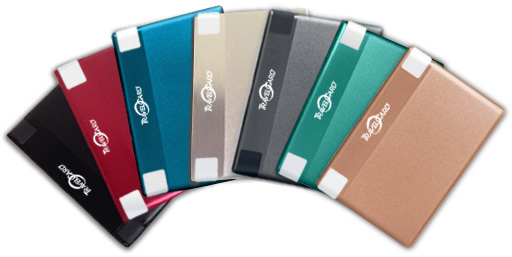 Choose from seven colors: black, red, blue, gray, silver, gold and green. 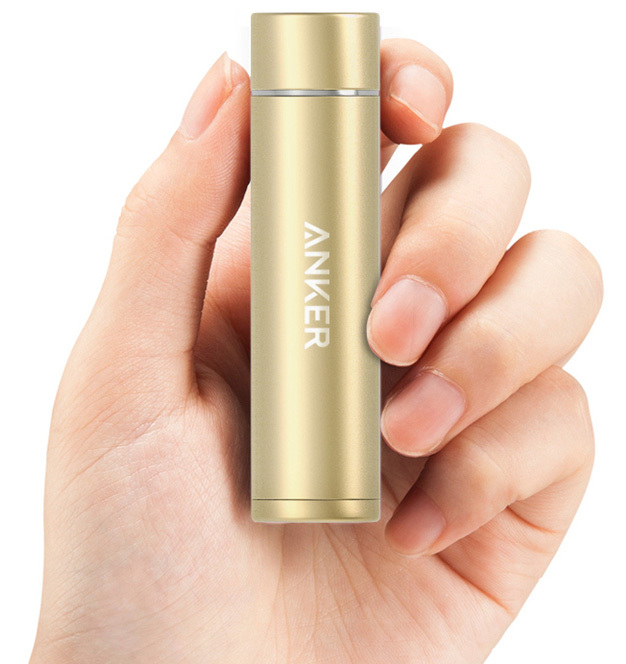 The Anker PowerCore+ mini is considered a lipstick charger at just 3.7 by 0.9 by 0.9 inch and 2.7 ounces. Packed inside is a 3350mAh battery, which will provide a full charge for most smartphones, including the iPhone 8. 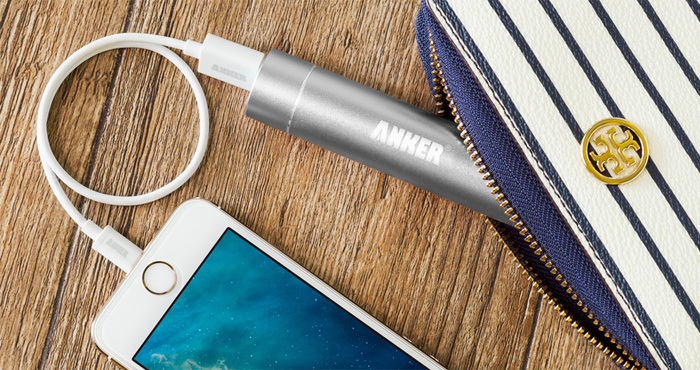 It has adaptive charging to deliver the fastest charge up to 1 amp and Anker's MultiProtect Safety System to ensure your phone is safeguarded against shorts and surges while charging. An LED light lets you know how much juice is left, so you don't walk out the door with a dead charger. Available in black, gold, silver, pink and blue. If you're willing to carry a slightly larger charger (4.2 by 1.3 by 1.3 inches and 4.8 ounces), the PowerCore 5000 packs a 5000mAh battery, which fully charges all smartphones and adds quick charging at up to 2 amps. When you're trying to stuff a tiny charger in your pocket, the last thing you want is to have to do is find room for a three or six-foot cable. You can buy a four-inch lightning, microUSB or USB-C cable for less than $10 that's perfect for the job. I like the AmazonBasics lightning cable, the Anker PowerLine Micro USB and CableCreation USB-C to USB. I am surprised these little chargers were not mentioned.They come in a LOT of sizes,2000 mah,4000 mah,up to 35000 .They are pocket sizes,the first two are under 10.00,the biggest under 30.00.Available on ebay,amazon,etc.